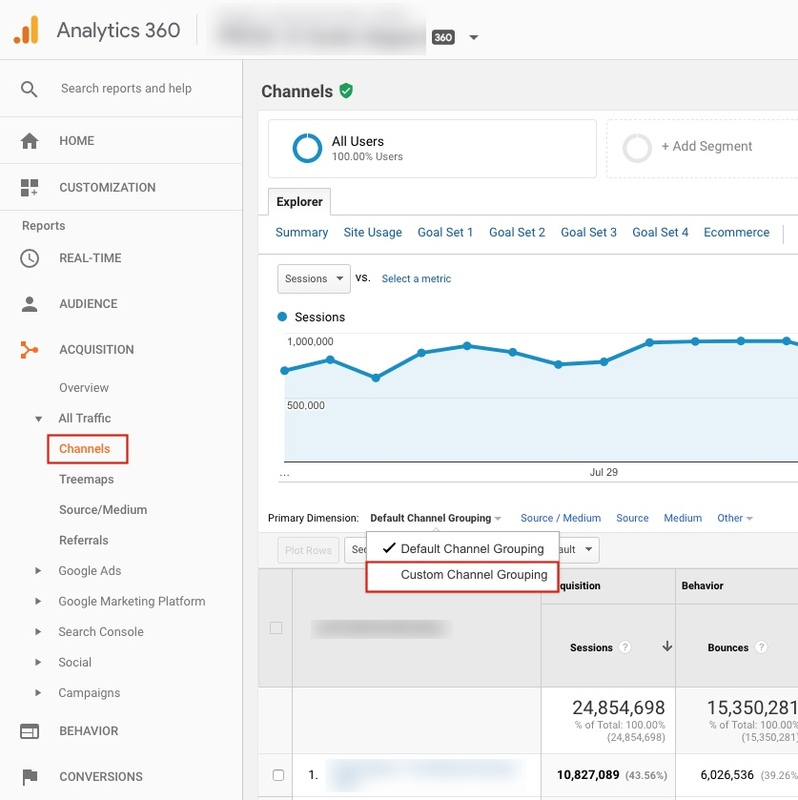 Understanding Marketing Channels in Google Analytics: The Good, The Bad – and a Toy Surprise! 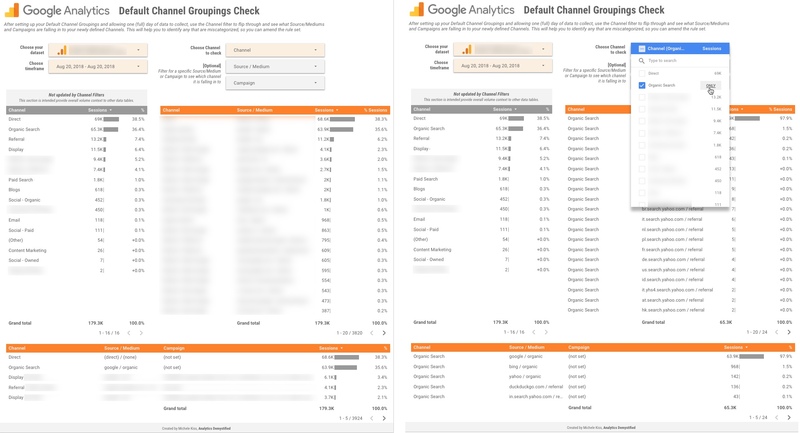 Home &gg; Blog &gg; Featured, Google Analytics &gg; Understanding Marketing Channels in Google Analytics: The Good, The Bad – and a Toy Surprise! In this post I’ll discuss two ways you can approach this, as well as the gotchas, and even offer a handy little tool you can use for yourself! Default channel groupings are defined rules, that apply at the time the data is processed. So, they apply from the time you set them up, onwards. Note also that the rule set execute in order. The manual work in customizing them makes kittens cry. Why? You have to manually update them for every.single.view. Default Channel Groupings are a view level asset. So if your company has two views (or worse, twenty!) you need to manually set them up over. and over. again. (“I know! I’ll outsmart GA! I’ll set up the groupings then copy the view. Nope, sorry.) 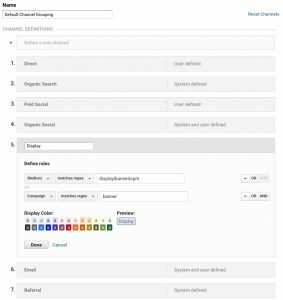 Unlike goals, any customizations made to your Default Channel Groupings don’t copy over when you copy a view, even if they were created before you copied it. You start from scratch, with the GA default. So you have to create them. Again. There is no way to create them programmatically. They can’t be edited or otherwise managed via the Management API. Personally, I consider this to be a huge limitation for feature use in an enterprise organization, as it requires an unnecessary level of manual work. They are not retroactive. This is a common complaint. Honestly, it’s the least of my issues with them. Yes, retroactive would be nice. But I’d take a solve of the issues in #3 any day. “Okay… I’ll outsmart GA (again)! Let’s not use the default. Let’s just use the custom groupings!” Unfortunately, custom channel groupings aren’t a great substitute either. Custom Channel Groupings are a very similar feature. However, the custom groupings aren’t processed with the data, they’re a rule set applied on top of the data, after it’s processed. So, as you may have grasped, the channel groupings features in Google Analytics are necessary… but incredibly cumbersome and manual. 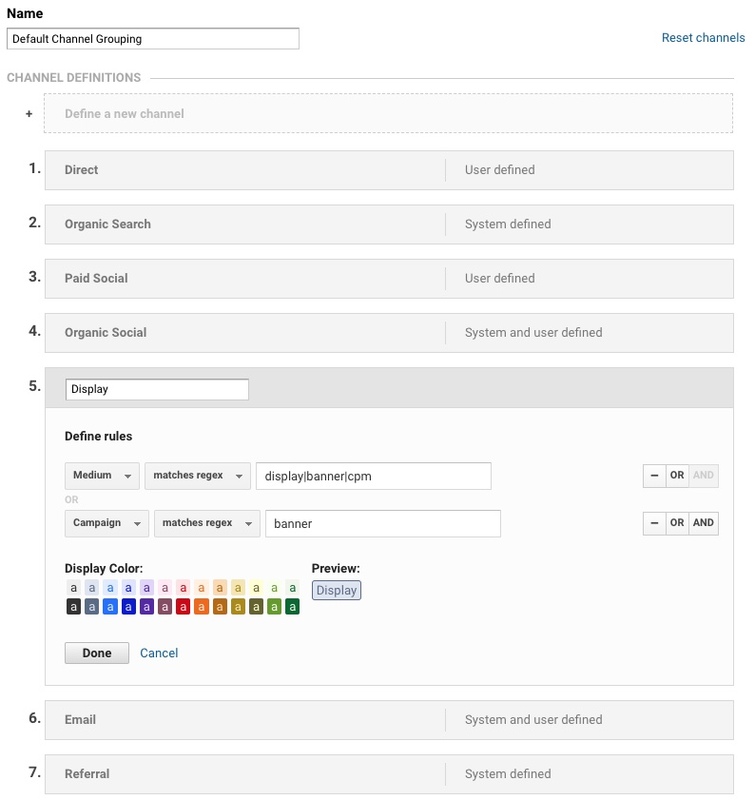 Custom-created channels need to be accessible like any other dimension, for use in segmentation, reports and via the API and Data Studio. So, what are the alternate options? The launch of Data Studio in 2016 created a new option that didn’t used to exist: use Data Studio to create your groupings, and don’t bother with the Default Channel Groupings at all. Note: If you use BigQuery, you could then use a version of this channel definition in your queries, as well. Let’s say you do choose to use Default Channel Groupings (I do end up using them, I just grumble incessantly during the painful process of setting them up, or amending them.) You might put a lot of thought in to the rules, the order in which they execute, etc. But nonetheless, you’ll still need to check your results after you set them up, to make sure they’re correct. To do this, I created a little Data Studio report, that you are welcome to copy and use for your own purposes. Basically, after you setup your default groupings and collect at least a (full) day’s data, the report allows you to flip through each channel, and see what Sources, Mediums and Campaigns are falling in to each channel, based on your rules. Note: At first it will load with errors, since you don’t have access to my data set. You need to select a data set you have access to, and then the tables will load. I also set up alerts for big increases in the “Other” channel, so that I can catch where the rules might need to be amended. I hope this is helpful! If there are other ways you do this, I would love to hear about it.